It's been a while since we've seen an Xperia L. The only entry in the line was back in 2013 and it was a mid-ranger then. Now, Sony has revived the L family with the new Xperia L2 — a budget-oriented handset with a wide-angle selfie camera and a fingerprint scanner. The Xperia L2 is a callback to the plastic shell that the old Xperia L was. But here, we have a finish, which makes it look like a metallic handset, and the look is a tribute to the Omnibalance design language that Sony loves to toy with. However, the phone's rear shell does arch out in a slight bulge, which is something we don't see very often on Sony handsets — it's probably like that to improve ergonomics and provide more room for the rather large battery. Its back sports a fingerprint scanner pad, too, but there's still a power button on the handset's right frame. Under the hood is where the budget parts are revealed — the Xperia L2 is powered by a quad-core MediaTek MT6737T processor, ticking at 1.5 GHz and has 3 GB of RAM. It's storage is 32 GB, but can be expanded via microSD. The display on the front is a 5.5-incher with a resolution of 720 x 1280 — not the sharpest out there. The light is kept on by a rather generous 3,300 mAh battery and Sony's Stamina Mode will make sure you get every last minute of use out of it. Sony loves to put an emphasis on the camera when designing a new phone and the L2 is no exception. The budget offering sports a 13 MP main snapper and an 8 MP, 120-degree wide-angle selfie cam to get more stuff into your selfie shots. 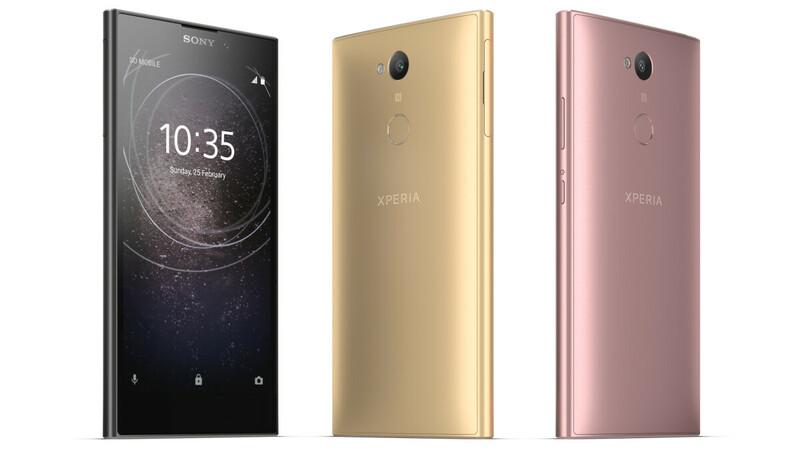 The Sony Xperia L2 will be launching in the US at the start of February in Black, Gold, and Pink. Pricing will be specified as the launch date approaches. 'It's been a while since we've seen an Xperia L. The only entry in the line was back in 2013' Ah, what about the xperia L1 that was released last year? Yes, but the Xperia L came with original Z.